Ten years ago, the Preservation Greensboro Development Fund found new footing. Since that time, the Fund has been involved in a series of notable projects ranging from relocating bungalows, rescuing fire-damaged houses, and reviving a nineteenth century saloon. In doing so, it has forged creative partnerships with neighborhoods, local governments, private foundations, businesses, individuals, and UNCG. The Fund was established as a revolving fund in 1988 through a series of foundation grants, including from the Kathleen Price Bryan Foundation and the Hillsdale Fund, totaling $100,000. Founding board members Chip Calloway, Ann Daniel, and Cameron Cooke were inspired by similar revolving funds in Salisbury, Wilmington, and with Preservation North Carolina. 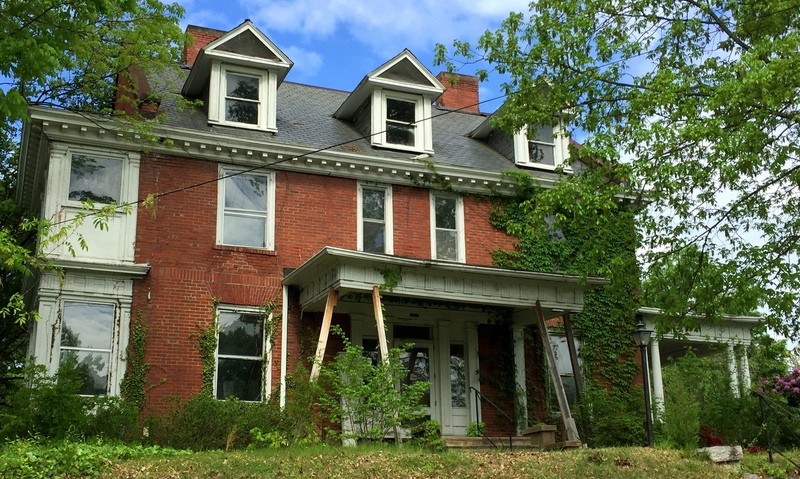 Preservation revolving funds typically apply monetary resources to leverage traditional ownership and other real estate interests in vulnerable historic properties (such as easements and options). Proceeds from the sale of such properties back into the real estate market under conditions designed to ensure protection of the properties replenish the Fund for future projects. The first acquisition followed in 1991 when the Danial P. Foust House in Whitsett was sold to the Fund. The c. 1856 Foust House was bequested to the county by its former owner before being damaged by a tornado. The house was sold to Jerry Nix with a preservation easement attached to the deed. Preservation easements continue in force as the property changes hands through subsequent transactions and are the strongest tool to assure preservation of historic sites, and the Foust project began a tradition within the Fund of placing such easements on all Fund properties. The second project was the purchase of the c. 1847 Bumpass-Troy House at 114 South Mendenhall Street in the College Hill neighborhood. The vacant house was threatened with demolition for student housing. 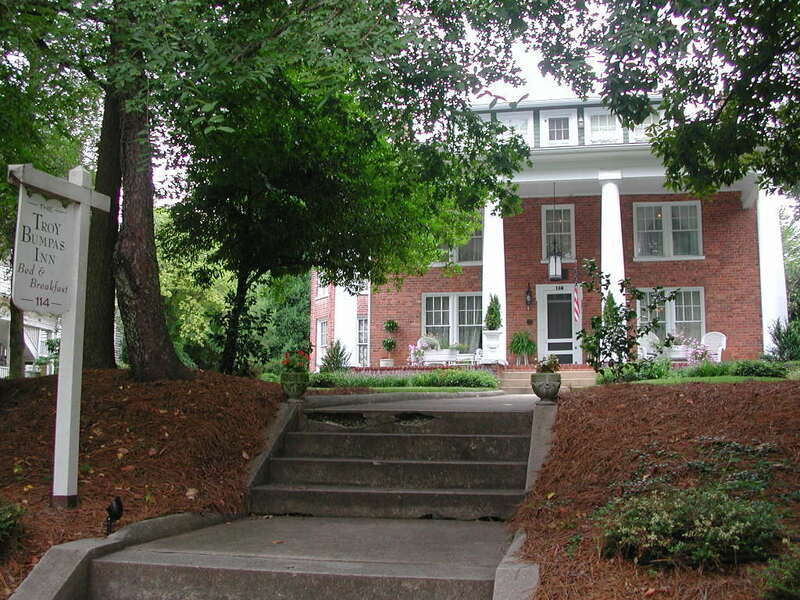 The Fund sold the property in 1992 to Gwen and Charlie Brown with preservation easements, and the home was transitioned to a bed and breakfast inn. The Fund lost momentum in the 1990s through diminished financial resources and new initiatives in the organization. Activities deviated from the traditional practice of a revolving fund, including a 2000 grant made to the Hanner House at 420 McCulloch Street and financing of a neighborhood plan in the Aycock (now Dunleith) neighborhood in 2003. In 2007, the Fund was re-energized when it was populated with Preservation Greensboro board members who recognized the utility of a Fund operated by board members with highly-specialized expertise and devoted to financial interests in real estate. The Preservation Greensboro Revolving Fund was at this time renamed The Preservation Greensboro Development Fund to emphasize its potential to serve as a force for economic and community development, and immediately served a community need in the preservation of the 1923 Bowman House at 926 Bellevue Street in the South Greensboro Historic District. The one-story bungalow was under “Repair or Demolish” orders from the city when it was donated by Keith Bowman in 2008 to the Fund. In 2009 the house was sold to the Hodge family subject to a preservation easement and was completely restored for use as income property. 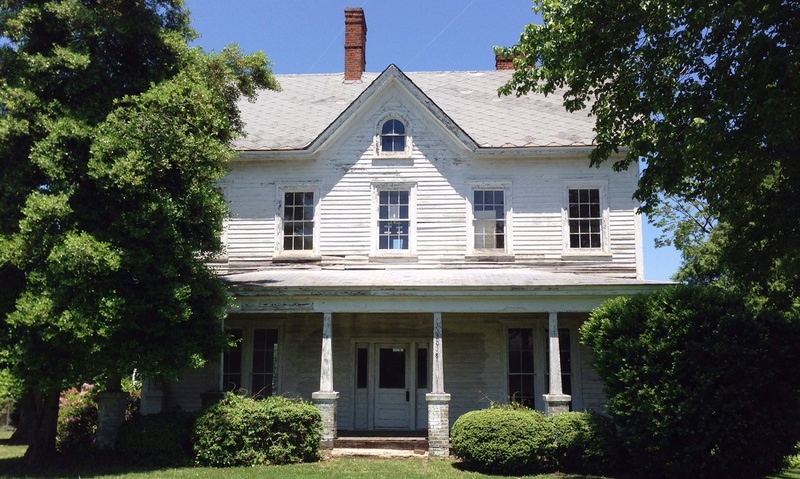 The next year, the Fund took ownership of the c. 1900 Esther Barker House, a two-story Queen Anne-style house formerly owned by the Zenke family, pursuant to a complex plan it devised with the Zenke family, the City of Greensboro, and Guilford County to save the house from demolition. The home was originally located on Blandwood Avenue at the site of the proposed (now completed) County jail downtown. Using City community development funds, the house was moved to 408 North Cedar Street and restored by Mahlon Honeycutt for use as income property, subject to a preservation easement. In 2011, the Fund directed its attention to the Sweeney-Penn House (image, masthead), an abandoned Craftsman bungalow located at 910 Magnolia Street in the Fisher Park neighborhood. The property was lamented by neighbors as an eyesore, owned by an estate mired in lost documents and overseas heirs, subject to City code enforcement, and awash in a sea of hoarded personal items stored inside the house. Volunteers with the Fund were able to work through legal hurdles to acquire an option on the property from the family heirs, and then process through the mass of hoarded items to allow the house to be featured on the Aycock and Fisher Park Tour of Historic Homes. The house was marketed during the tour, and caught the eye of Cheryl and Tracy Pratt, who purchased the property and completed a major restoration utilizing Historic Tax Credits. Beginning in 2011, the Fund was approached by representatives of UNCG about plans for campus expansion into the Glenwood Neighborhood. In a careful arrangement involving UNCG and the Glenwood Neighborhood Association, the Fund agreed to acquire and move three structurally sound homes in the path of new dormitories to relocation sites that buffered the Neighborhood from the campus. 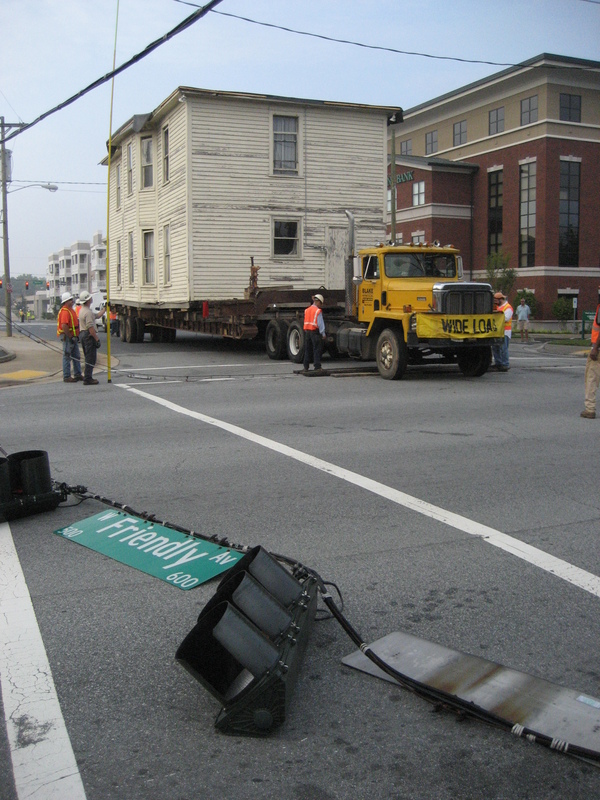 The two-story Jalie Cox Hunt House of 1908, the Owens-Baker Cottage of 1923, and the Buchanan House of 1923 were moved to new sites between 810 and 814 Haywood Street. These three houses have been joined by other nearby houses the Fund acquired, including the Daniels House at 904 Haywood and a residence at 803 Lexington, all subject to preservation easements intended to help protect the Neighborhood’s historic character. The Reconstruction-Era Model Farm in High Point was purchased by Ruth Whitten for a major restoration, but life changes caused her to rethink her plans. As a result, she donated the c. 1867 Model Farm to the Fund in 2011 in order to see it preserved given its status as one of the most significant Reconstruction era historic sites in the State. The Fund arranged for work to help prevent further deterioration of the house and marketed it for adaptive reuse. The house was sold to Kent Berry for a project to convert the structure to a community center. Per Ruth’s direction, the Fund retained a preservation easement on the National Register designated structure in order to preserve it for the enjoyment of future generations. The 1772 Foundation, a Connecticut-based charitable trust, made a $25,000 investment in the Fund in 2012. This funding expanded the fiscal capacity of the organization and provided for operating budget costs, including insurance, auditing, and relocation costs associated with the Glenwood projects. In 2013, the Fund accepted its first preservation easement not related to a project as a donation from Kay Stern. Kay and her late husband Sidney built their Mid-Century Modern home in 1955-56 to designs supplied by Edward Loewenstein. The iconic house with butterfly roofline and cypress paneling stands in the Irving park neighborhood, and was vulnerable to being destroyed to make way for new housing. Kay’s donation of an easement with an endowment for oversight assures the house will remain a part of Greensboro’s modern architectural history. A disastrous fire threatened the Carrie and Charles Angle House at 919 Spring Garden Street with demolition. The c. 1908 frame house with a spectacular front porch stands at a pivotal intersection in the College Hill neighborhood, near Weatherspoon Museum on the eastern edge of UNCG’s campus. The Fund persuaded the College Place United Methodist Church, which owned the house and considered demolishing it for church parking, to option the property to the Fund. Thanks to an eleventh-hour arrangement negotiated between the Fund and the College Hill Neighborhood Association to help cover the purchase price, the Fund was able to exercise the option one day before it expired, and through the Fund’s persistent marketing efforts, the house was sold in 2014 to Susan and Rick Stone, who completed a major restoration that saw the structure returned to use as a single-family residence. The project was made possible by the College Hill Neighborhood Association, which partnered with the Fund to petition City Council to take the unprecedented step of applying gap funding from the Neighborhood’s Municipal Service District program to the project. Additional funding came from the Covington Foundation, as well as Historic Tax Credits. In 2015, the 1772 Foundation, a partner in preservation through revolving funds, made a $50,000 investment in the organization. This second commitment to the local revolving fund assisted our efforts in keeping housing affordable in the Glenwood neighborhood by allowing the Fund to complete its first “turnkey” project on Haywood Street. Capital also allowed for the Fund to complete its first “rightsizing” project through the reduction of the square footage of the fire damaged Angle House. More than a decade’s worth of efforts to save the National Register-designated Cascade Saloon at 408-410 South Elm Street in downtown Greensboro came to a favorable ending in 2017. Constructed in 1895 by S. J. McCauley for use as a saloon, later tenants included Ida and Wiley Weaver, who operated an eating house from the building between 1907 and 1914 during the earliest years of the restrictive Jim Crow Era. As black business owners, the Weavers were representative of a small number of black-owned business located on Greensboro’s primary commercial street at the time. Due to its history and distinctive architecture, the building was recognized in in 1982 as a contributing building within the Downtown Greensboro National Register Historic District. In December 2006, the Greensboro City Council recognized the Saloon as a Guilford County Landmark Property. Seen by many as a lynchpin for downtown redevelopment due to its strategic location in Hamburger Square, the long-vacant structure was badly-decayed and in danger of collapse, but had survived a variety of legal proceedings and three demolition orders largely due to the Fund’s advocacy. In the interest of public safety, the City acquired the property through eminent domain, and in 2016 the building was transferred by the City to the Fund after a plan was developed and partners identified to accomplish a complete restoration of the landmark property as an alternative to demolition. A critical key to the plan was $250,000 pledged to the Fund by an anonymous donor for the purpose of saving the saloon, the largest private preservation donation in the history of Guilford County. Preservation partners include Christman Corporation, the Marion Stedman Covington Foundation, the City of Greensboro, First Citizens Bank, Downtown Greensboro, Inc., the Preservation Greensboro Development Fund, and the anonymous donor. The $4 million project is being completed in 2018 utilizing state and federal Historic Tax Credits for income-producing properties. The project represents the first commercial property saved by the Fund since it was established in 1988. When an iconic Fisher Park Colonial Revival residence built by the Leak family in 1913 suddenly became available to the Fund in 2017 after it negotiated its assumption of the prevailing bid in a court-ordered estate sale, the Fund seized an opportunity to save history along North Elm Street. The house was designed by one of Greensboro’s esteemed architects, J. H. Hopkins. It was vacant for ten years, and more memorable to many for the temporary supports holding off the collapse of the front porch. Absent the Fund’s initiative, the house was vulnerable to demolition for commercial development given its location in a commercial corridor near Cone Hospital. The house is currently under contract, and will be sold with a rehabilitation contract (specifying how it will be adapted for use for professional offices while retaining its historic character) and a preservation easement protecting against demolition in the future. The house is included within the locally designated Fisher Park Historic District, and in 1991 it was considered a contributing structure within the Fisher Park National Register Historic District. In 2017, plans were revealed by the Greensboro Masonic Temple to destroy a 1928 structure for parking that was designed by Greensboro architect Charles Hartmann. Built for the Christian Advocate Publishing Company, the building’s exotic Egyptian Revival design led a citizen outcry to reconsider options to demolition. The Fund intervened to delay demolition with only days to spare and initiated a review of financially viable opportunities for redevelopment, which is ongoing today. Today, on the 30th anniversary of the Fund’s establishment, historic preservation is an active part of community reinvestment, and the Fund has played a pivotal role in solving some of the community’s most difficult preservation challenges, in every quarter of the City. 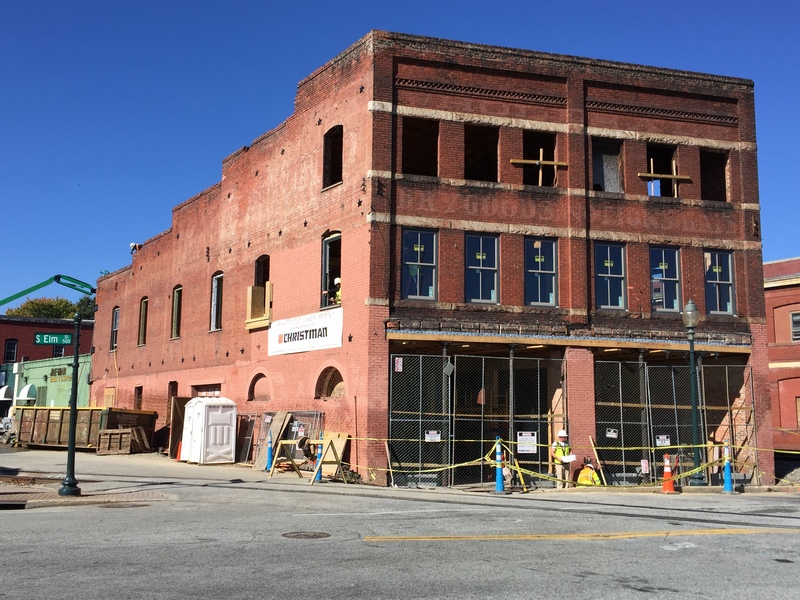 The Fund has leveraged investment from national, statewide, and local resources to go back into the historic building stock of Greensboro, helping to ensure that Greensboro remains known for historic character that many other large cities in North Carolina have lost. The Fund will continue to seek out additional community partners and reinvestment opportunities for sites of significant architectural history around Greensboro and Guilford County. Keep an eye out for the Fund’s distinctive blue plaques that signify properties held in its preservation easement program. The Preservation Greensboro Development Fund is a sister organization to Preservation Greensboro, a non-governmental non-profit. Are you a member of Preservation Greensboro? Learn more about Greensboro’s only redevelopment fund and member-supported preservation organization by exploring our website or joining our Facebook page. Please contribute today!